With a joint passion for helping people improve their health, we formed Valindas Bournemouth Massage ten years ago. We have had a good client base with people coming to see us from all over the country. With a strong desire to develop in healing we discovered Quantum Touch. Incorporating this into our therapies has enhanced our treatments. ​Bournemouth Quantum Touch, a simple but highly effective healing technique, encourages the body to heal itself. From our client feedback we know that being identical twins, and combining our energies, has provided clients with an extremely balancing experience. 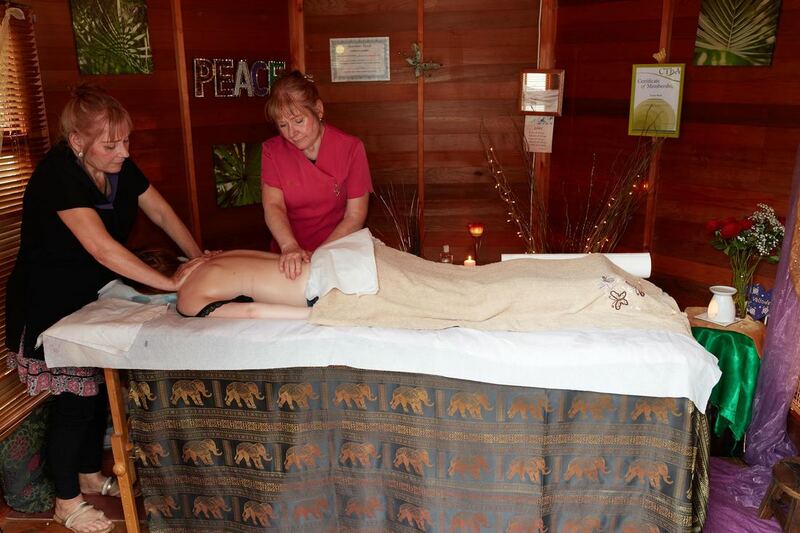 Operating from the New Forest Tree of Life shop, 105 Victoria Road, Ferndown BH22 9HU, Valindas Bournemouth Massage Therapies provides the best massage treatments to clients throughout the UK. Formed in 2002, Valindas Bournemouth Massage has over 15 years experience in the Therapeutic Massage sector. With a well equipped treatment centre and experienced identical twin sister masseuses, we deliver a totally unique range of magical treatments to individuals. The service is designed to benefit clients, enabling total relaxation of the body and clarity of mind to remedy the stresses of today's hectic world. Valerie and Linda are both fully qualified in massage to ITEC level. Valerie and Linda’s masssge skills are exceptional, and they put me at my ease straight away. After a couple of visits I realised how good I felt, so have been a regular client ever since. I have had a problem with an inflamed tendon in my thigh, but after a few treatments it is virtually healed up now. A while back I had gastric ulcers, they have healed as well. So I must recommend Valerie and Linda if you need all the knots and tightness eased out of your body, and for the healing treatment , they are the ladies to see. I was suffering with continuous leg cramps during sleep and wondered if massage might help, so I looked on the Internet and found Valindas 4 handed massage. After a soothing and relaxing massage from these two ladies using the power and skill of their hands and the stones massaging my aching muscles, I left there feeling totally relaxed and have not had a return of the night cramps since! I realize my muscles were too tight and tense and was in need of this treatment. I intend to go back there occasionally and would definitely recommend this therapy. Thank-you Valerie and Linda. Valindas Bournemouth Massage are absolutely outstanding. After receiving, not only a wonderful hot stone massage for my aching muscles, but also Quantum Healing on my right hand, I was amazed at the significant difference it made. My right hand was cramped due to continual writing for many days, however, after receiving the Quantum healing it was truly incredible as I was able to move my wrist and wriggle my fingers without pain, plus no aching whatsoever. Thank you to Valindas for their healing remedy. I would highly recommend everybody to receive both Quantum healing and a hot stone massage by Linda and Valerie, as it's truly magical and massively aids your body. October 23, 2015 · Thank you for one of the best massages I have ever had. 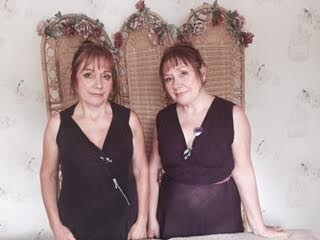 Valerie and Linda work so well together it is more than just a four handed massage. 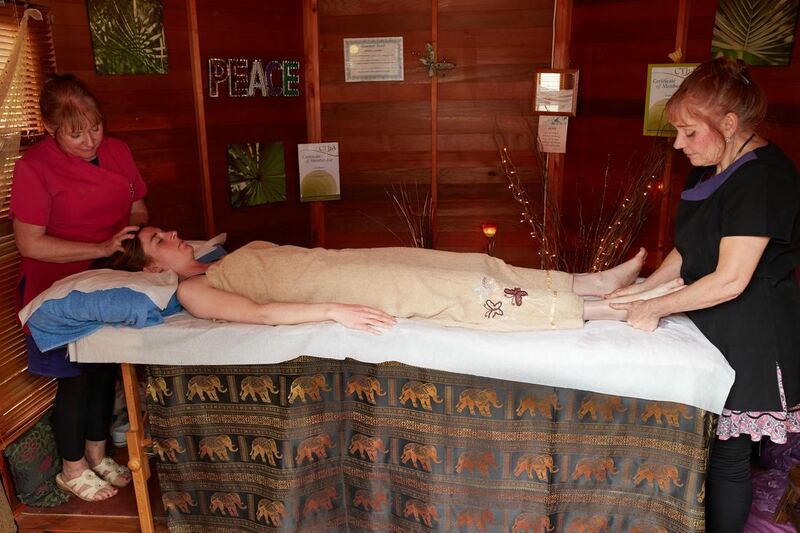 Their intuitive and symbiotic approach leaves you feeling refreshed, centred and revitalised. At one point Valerie was working hard on knots in my muscles while Linda was balancing my energies with the simplest of touches. If you are looking for someone to sort out the aches and pains but also steer you on the path to wellness, then Valindas are perfect. I for one, will be back! November 16, 2015 · Superb massage therapy. Val & Linda are very nice & work incredibly well together to help relax and heal. You can really feel the benefits of the quantum touch. Highly recommended. They have helped me with shoulder & back issues. November 14, 2015 · Valindas massage therapies continue to be an essential addition to my treatment for stress and anxiety. The therapeutic and physical benefits are truly wonderful. Thank you, from a very happy, returning customer! September 20, 2015 · Thank you for a wonderful treatment at the Bournemouth Healthy Happy Living event yesterday. It was lovely to meet you both. I recently had hot stone massage therapy with Valindas as I was suffering from back and neck pain from whiplash injury following a road accident. I found this to be one of the most calming and relaxing therapies I've ever had, and felt the knots in my back and neck begin to dissolve during the session as the hot stones combined with hand massage really work deep into the muscles and soft tissue. I felt like a new person afterwards! I highly recommend their treatments to anyone, and they are very professional. 10 out of 10! I have struggled with bad leg cramps and an aching back a while now, and was recommended by a friend to try Valindas healing therapies. Never having had a massage in my life, I was very nervous on my first visit, but was put at my ease by Linda who listened to my problems and by the end of the first session I could feel a great benefit already. By the end of the second session my cramps have completely gone and my back has lost that lower back pain. Linda is a highly well trained professional, and I would highly recommend her to anyone who has any muscular aches and pains. Why didn't I do this before instead of suffering! !